want to be a savvy snacker? of new flavours, special offers, sweepstakes, and more! everything you ever wanted to know about popchips™ (but had your mouth too full to ask). we're never too busy snacking to answer your questions. if you don't find the answer to your pressing questions here, feel free to drop us a line at snackers@popchips.co.uk. if we're in the middle of snacking, which is quite likely, we'll get back to you as quickly as our one-handed typing will allow. how do you pop a chip? crisp. chip. what’s the difference? are popchips popped from sliced potatoes? don't chips need a lot of fat to taste really good? what kind of oil do you use? do you use any preservatives, artificial flavours, colours or ingredients? 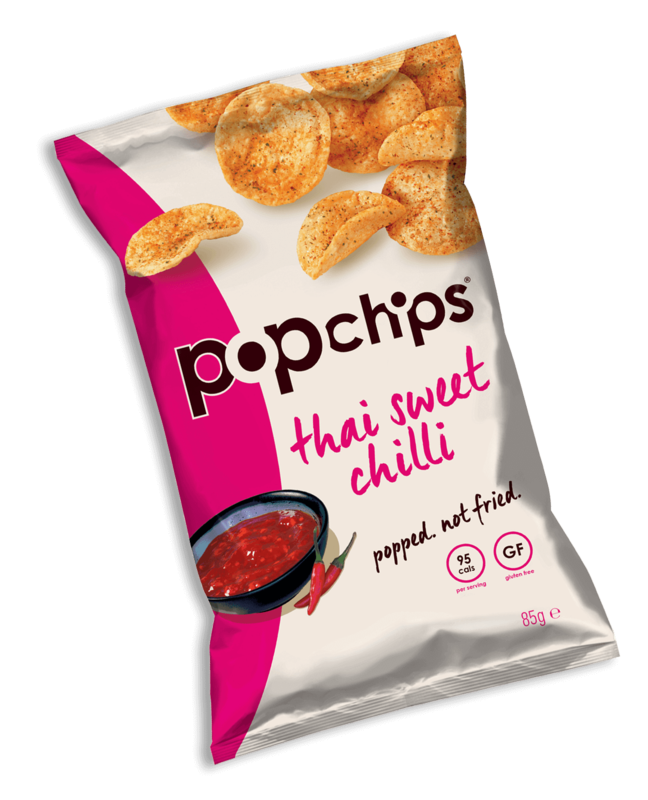 do you add any msg or other artificial flavour enhancers to popchips? so how long do popchips stay fresh? i want my popchips! why'd you make the bag so hard to open? are popchips kosher certified? are popchips gluten-free? what about allergens like dairy or nuts? how much sodium is in popchips? are popchips non-gmo? are popchips vegetarian? vegan? are popchips’ bags recyclable? stop holding back. where can i get some? i’ve only seen a few flavours on the shelf. what’s up with that? are there more flavours coming? who makes popchips and where are they popped? where is popchips based? do you have an office in the uk? i have a shop. how do i get popchips on my shelf? i'm a snack fanatic. what do i do now? how do you pop a chip? popping is how we turn our naturally delicious ingredients into our tastier and surprisingly healthier popped potato and popped tortilla chips. we start with the finest ingredients, add a little heat and pressure and pop! it’s a chip. in fact popping our potato and popped tortilla popchips is almost as fun as eating them. (we said almost). if you want to learn more, check out how we pop. crisp. chip. what’s the difference? in the uk those thin, crunchy snacks called crisps are what americans call chips. and what brits call chips are what americans call fries. you with us? but while popchips are definitely crisp, we thought popcrisps just didn’t have the same ring, so we kept our name and figured you clever brits would get it anyway. are popchips popped from sliced potatoes? nope. we turn our potatoes into the equivalent of a grain of rice or kernel of corn before popping them (like popcorn). take it from us, we don’t think it’s possible to pop a potato slice. don't chips need a lot of fat to taste really good? you’d think. but we’re able to pop up the flavour without any oil in the popping process. then we use a bit of sunflower oil when we season them. so popchips have all the flavour, and less than half the fat of fried potato chips. which means you won’t have to wipe your greasy chip hand on your jeans. what kind of oil do you use? we only use a bit of non-hydrogenated, trans fat-free, gm-free sunflower oil when we season the chips. do you use any preservatives, artificial flavours, colours or ingredients? nope. nothing fake or phony. popchips have no preservatives, no fake flavours and no fake colours. there’s absolutely nothing artificial! 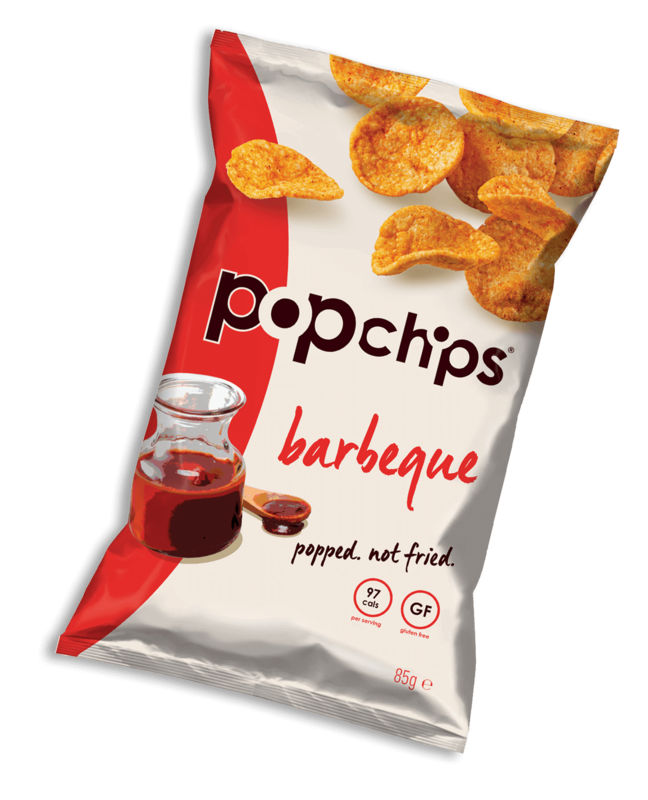 do you add any msg or other artificial flavour enhancers to popchips? no way! there’s absolutely nothing artificial. no fake colours, no fake flavours, no preservatives, and no fluorescent orange fingertips. and we definitely don’t add any msg. so how long do popchips stay fresh? we’re happy to say that popchips will stay fresh in an unopened bag for up to 12 months after they’re popped (but make sure to check out the “best before date” on the back of the packet). to anyone that has the self-restraint to let popchips sit in their cupboard that long to prove it, we commend you. remember, though, that they have no preservatives, so make sure to keep the packet sealed after it’s opened. i want my popchips! why'd you make the bag so hard to open? • at the top of the bag, pinch the front and back right in the middle. give both sides a good yank, and you're in. • or, try grabbing the seam on the back at the top with one hand and pulling on the front with the other. we promise it'll be worth the little extra effort! yes! all ‘popchips’ are gluten-free (and delicious). what about allergens like dairy or nuts? our barbeque, mature cheddar & onion, thai sweet chilli and sour cream & onion popchips and crazy hot and mature cheddar and onion ridges contain dairy popchips contain dairy. all our flavours are nut free. our manufacturing facilities have rigorous allergen control programs in place to ensure any allergens are controlled. these allergens are marked on the ingredient section of each bag, another reason to read that label. how much sodium is in popchips? good news – popchips meets (make that beats!) the fsa’s 2017 target guidelines for our product category for salt / sodium content! the sodium in popchips averages at or below the fsa target average of 2g of sodium per 100g serving. but why stop there? we’re always working on ways to keep reducing sodium levels, and will keep you posted on our progress. in the meantime, if you want to check on the sodium levels for your favourite flavour, check out the nutritional labels on the back of our bags. all of our flavours are vegetarian, and our sea salt, sea salt & vinegar, lightly salted tortilla and salt & pepper popchips are vegan. not yet, but we’re working on it. because popchips have absolutely nothing artificial, we insist on having the best packaging that keeps our fresh flavour in. but we’re very concerned about our carbon footprint, which is why we recycle materials wherever possible. and we support great environmental causes to make sure we’re doing our share. in the meantime, we raise our hand out of the chip bag and promise that we’re working harder than ever to find a recyclable, compostable and biodegradable bag that’s both affordable and meets our high demands for the freshest, most flavoursome snacks. stop holding back. where can i get some? we’re happy to say you can find popchips at some of the UK’s leading retailers like waitrose, sainsbury’s, starbucks, boots, tesco, asda, whole foods, harvey nichols, planet organic, costco and wh smith (stations and airports). you can find popchips at retailers near you through our store locator or order them throug ocado or amazon. i’ve only seen a few flavours on the shelf. what’s up with that? 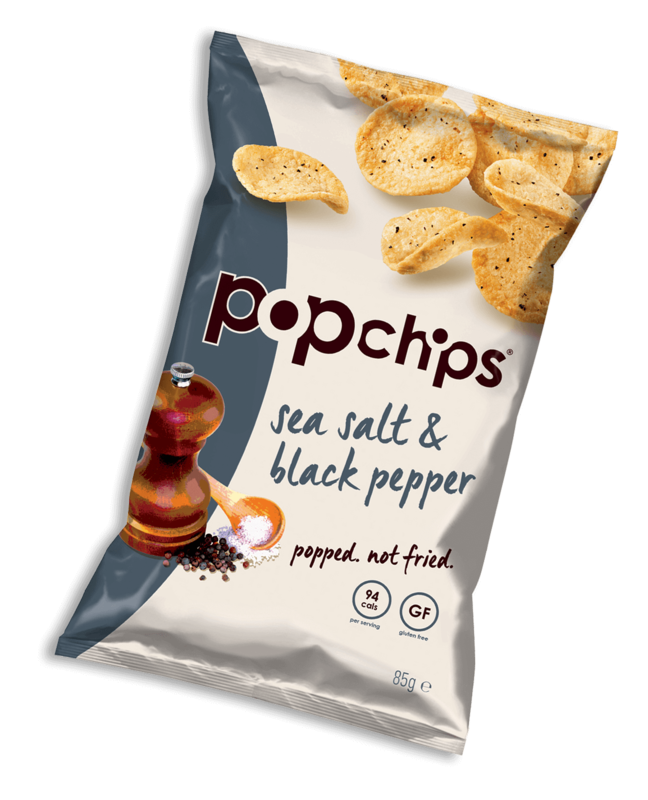 while popchips are available in a variety of taste-bud popping flavours, not every retailer carries them all. if you want more flavours, you might practice some snacktivism and pop into your local retailer to ask them to carry your favourites. or you can always order online from ocado. are there more flavours coming? today popchips have seven delicious flavours of potato popchips, and four flavours of tortilla popchips but we are busy working on new flavours. send us a note to snackers@popchips.co.uk and let us know which new flavour you’d love to try. who makes popchips and where are they popped? we started popping our chips (er crisps) in california in 2007, and are now popping our award winning snacks right here in the uk and in the eu. popchips was born in california and our headquarters are in los angeles, ca. do you have an office in the uk? yes we do! we’re just beginning to pop in the uk, so our place is a little cramped for company. we’d love to be friends though. so tell us your story, share your favourite flavour, follow us on twitter, like us on facebook and spread the snack love. or just shoot us a note and say hi. we'd love to hear from you at snackers@popchips.co.uk. i have a shop. how do i get popchips on my shelf? by all means, get in touch with our sales team at sales@popchips.co.uk and let’s get popping! i'm a snack fanatic. what do i do now? tell us your story, share your favourite flavour, follow us on twitter, like us on facebook and spread the snack love. or just shoot us a note and say hi. we'd love to hear from you at snackers@popchips.co.uk.